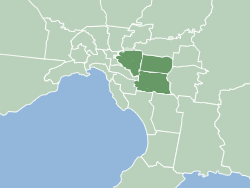 Each quarter we distribute 6,000 copies of the Burwood Bulletin to the cities of Whitehorse, Monash and Boroondara in Melbourne’s inner East. Our volunteer deliverers drop off copies to various outlets such as community centres, libraries and shops. If you would like a copy sent to you, then please subscribe via email or phone. If you would you like copies delivered to your business or organisation in the distribution area then please call us on 0408 325 325.